Much like humans, dogs and cats are born without teeth. After several weeks, they develop deciduous teeth (milk teeth) that are eventually replaced by permanent adult teeth between four and nine months of age. After this, certain bacteria and food particles in the mouth begin to develop plaque that can lead to tartar buildup and even periodontal (gum) disease. 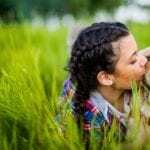 No two pets are alike, and this is especially true when it comes to dental health. The degree of plaque and tartar formation and susceptibility vary. Some animals will develop heavy plaque and tartar buildup as early as two years while others maintain a healthy mouth well into old age. Although most people are not concerned about gum disease, it can have serious complications for pets. Tissue in the mouth serves as a barrier between oral bacteria and the rest of the body. When the gums are damaged, the protective barrier could fail, allowing bacteria to enter the bloodstream. This can eventually lead to infection and damage to organs such as the heart and kidneys. What can you do to prevent this problem? 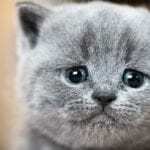 Feeding your pet dry food helps but will not prevent plaque formation on its own. Your best bet is brushing their teeth. If done properly, this can help prevent gum disease and strengthen the bond between you two. If your pet completely resists brushing, alternatives are available. 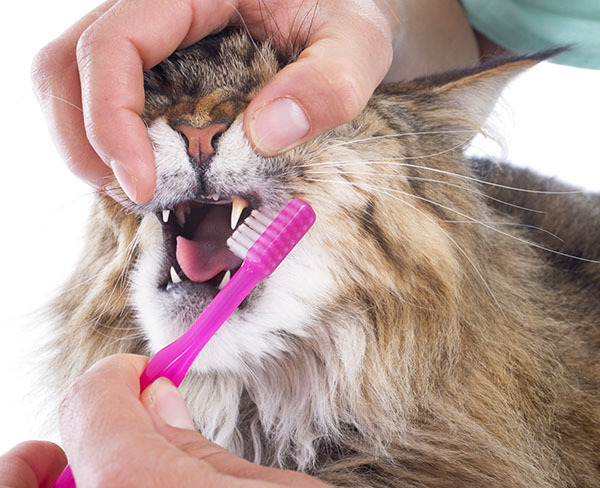 Read on to learn how to go about brushing your pet’s teeth and establishing a home dental care routine. To brush your pet’s teeth, begin by introducing the idea that you will be handling their mouth. The key is to make them feel comfortable with gentle motions and proper encouragement. If you have a new puppy or kitten, it’s best to start them off at an early age. For home training, start by massaging the teeth and gums using your fingertips. You can even add some baking soda and a pinch of garlic powder for a savory treat. 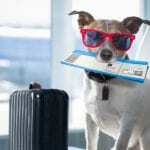 Once your furry buddy grows accustomed, move on to a toothpaste and brush made for dogs and cats. Pet toothpaste comes in a variety of flavors that cater to their palate, like malt and poultry. The paste formulas usually contain enzymes or other products to aid in plaque reduction. Special toothbrushes, like finger brushes, are also available. If you’ve got a rebel on your hands that simply won’t take to tooth brushing, there are alternatives. Beef knuckle bones or dental chews can also be used. Never give small, sharp bones or bones that a dog can crush up. These may result in tooth damage or injury to the gums, stomach or intestines. 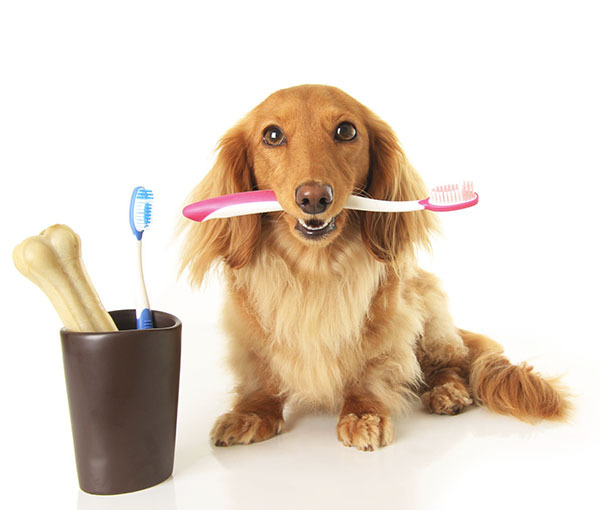 Regardless of diet, chewing and brushing, most pets will eventually need professional teeth cleaning. 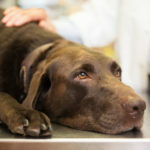 The Valley Animal Hospital takes pet dental health seriously, and so should you. To schedule a yearly dental hygiene checkup with one of our experienced veterinarians, please call 956-787-2709.